Indian garment exports has clocked 18 per cent growth since January 2017 after having remained stagnant for past three years and we hope that similar trend may continue for remaining period this year. Last year apparel exports were to the tune of $17 bn and this year growth is expected to be between 17-20 per cent from April to March 2017- 2018.The growth in exports will be supported by its expectations of increase in the global apparel trade and partly due to benefits of depreciated rupee. Moreover, the country’s emerging position as a preferred supplier for valueadded garments has significantly improved. To cater this growing demand more effectively, new technologies play a very important role. This is the reason, why all major apparel manufactures have acknowledged the role of applying innovative techniques to help them remain ahead in today’s competitive markets. As a result, technology suppliers are striving hard to innovate and develop new technologies keeping with demands of the industry. Dürkopp Adler is a leading sewing machine and process automation company from Germany. The group operates with a worldwide service and distribution network of 11 subsidiaries and more than 80 authorized dealers. The company’s latest offering is sewing unit with CNC step motor technology for runstitching of straight pocket openings 745-34S Speedpocket. Optimized transport behaviour by means of specially balanced machine head and extremely quite running. Enlarge working area of the height adjustable machine stand up to 1,076 mm max. 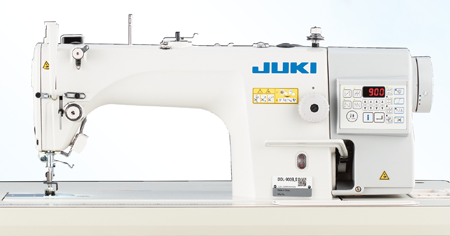 Juki Corporation is one of the leading industrial machine manufacturers and ranks as the no.1 in sewing machine manufacturer in the world. Headquartered in Japan, the company currently has manufacturing facilities in Japan, China, Vietnam and markets its products in more than 150 countries across continents. 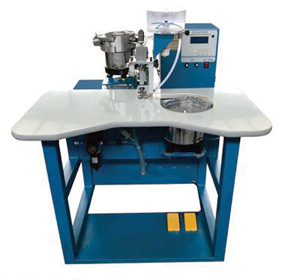 DDL – 900B which is a Direct-drive, High-speed, 1-needle, Lockstitch Machine with Automatic Thread Trimmer (Oil Shielding System) is one of the latest machineries by the company. Highly Functional Control Panel: Equipped with highly functional control panel CP-180 for various sewing data ranging from the sewing speed to the production support functions can be adjusted, in addition panel is added with additional feature of password lock function. Kaulin Mfg.co Ltd was established in 1965.Over the course of the past four decades, Kaulin has devoted itself to deliver exceptional industrial sewing machines. The company went on to introduce a whole range of machinery in the following years catering to different product lines such as knits, woven, jeans, leather goods, home textiles, jute products etc. 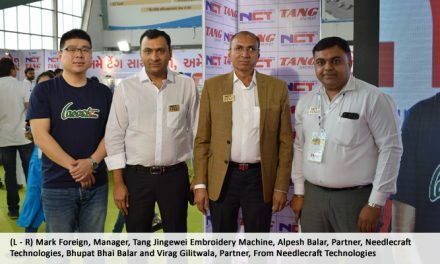 Now it has got one of the largest range of machines in the world and is a force reckon with in the world for industrial sewing. Multi-function type: The sensor checks fabric edge for automatic sewing mode. Also semi-auto or manual mode can be switched on demand. Multi-function te includes pneumatic and electrical type. 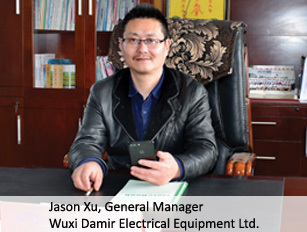 Customers may choose the suitable specification according to the factory facility. Smart and unique design is due to Siruba’s mission to all users and the insistence of excellence. It is usually not easy to inspect the oil amount with the under-located oil monitor. It is almost incapable to tell the oil amount especially when lubricating oil turns dark after times. 700Q, however, was redesigned the location of oil monitor to a higher position that avoid any inspection difficulty completely. The power switch is integrated to the machine body side and the built-in LED light can indicated the power on or off status clearly. With those humane designs, the safely of sewing environment is secured. Newly designed integrated LED light is compact, elegant and power supply by 700Q control box. The transformer and adapter are not required. The new designed base is same as interlock sewing machine, which is with easier installation and better balance. Sakho Technocraft Pvt. Ltd. is providing sales & service of Korean make Sakho Brand Special type industrial sewing machine & attachments. The company provides best machineries and service to garment industries with its highly dedicated technical & commercial. Its automated garment machineries & attachments are well known across the world for its low cost, best quality, durability, outstanding performance & services. The company has modified and specially designed its Digital Puller (SAKHO Model EJ-9) for Brother Model S-7300 A. Now its Digital Puller is running without Synchronizer. It has one more advantage in the Digital Puller, i.e. when operator does back tacking the Puller roller rotates in reverse direction which is not possible in mechanical Pullers. Also noteworthy is that the Digital Puller is very popular in Home Textiles, because the same puller can be used in single needle, double needle, zigzag, multi needle and overlockany brand machines. (For Overlock machine we need some additional attachments). 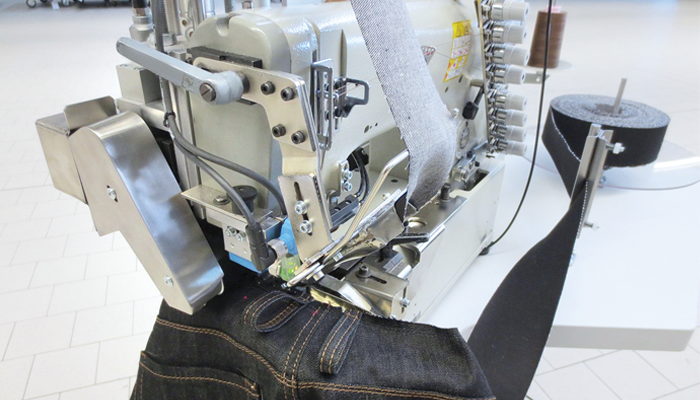 The customers who give more preference for the seam quality they all use its Digital Pullers in their Production. 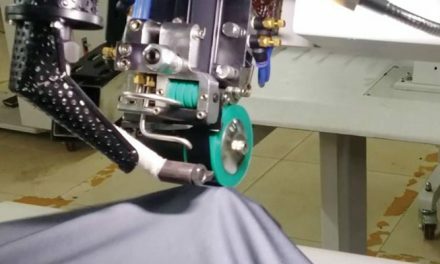 Also many of the top quality formal shirts & trousers manufactures use its Digital Pullers to avoid puckering and give better seam quality. Machine returns back to original position once fabric runs empty. The machine power will automatically shut off upon 5 min. idle. The spreading laid fabric is not pulled when the emergency stop triggers. Simple operation increases production efficiently and also ensures the best quality. Automate any type of garments like mens, womens & children’s T-shirt, shirt, trouser, suit, blazers, etc. 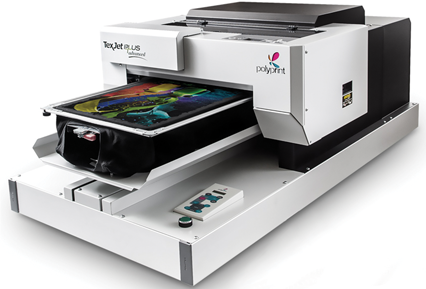 Polyprint S.A. is a family run business that specialises in solutions for digital textile printing with its core business being the manufacture of Texjet® DTG (Direct to garment) digital printers which are now being sold in 55+ countries across five continents. Based in Thessaloniki, Greece, an area with a long history in the field of textile printing, home to numerous T-shirt printing companies, most of them experts in high fashion T-shirt printing. 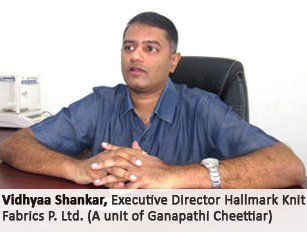 The company is represented by Cheran Machines India Pvt Ltd in India. Cheran Machines India Pvt. Ltd., an ISO 9001 – 2000 certified company and a pioneer in garment/ textile printing machineries is located in Coimbatore, Manchester of South India. With a strong commitment for quality, it has built strong brands recognised for innovation, user friendly features and superior performance for the past 14 years. 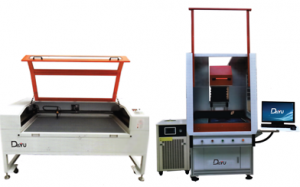 The Digital Oval Printing Machine (Pigment) is one of the latest innovations by the company. 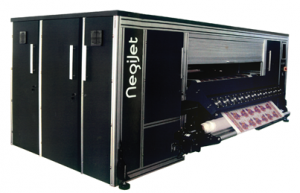 Negi Sign Systems & Supplies Co, is India’s only specialist distribution company for wide format printing industry with high quality large format printers, software’s, consumables and pre & post solutions since 1995.Negijet TX R-1900 direct textile printer is company’s latest offering. 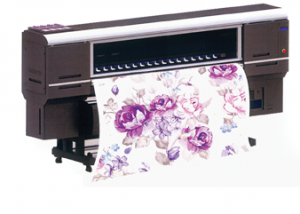 The top quality textile printing system has been innovated with uncompromising passion. 4 types of inks to choose: Reactive, disperse, acid or pigment. Britomatics group established in 1995 is leader in providing solutions to wide format digital technology. The company provides a suite of products related to wide format technology including inkjet printers, printheads, inks and related consumables for commercial graphics industry. With significant R & D, infrastructure investment and competitive spirit Britomatics will continue to be an innovative in their product line. 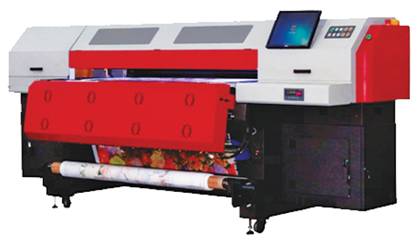 India’s biggest wide format digital printer and also a winner of several awards in the last few months, ColorJet India Ltd recently launched the Aurajet dye sublimation textile printer. The Made-in-India Aurajet, which is running successfully in Australia, Sri Lanka, Saudi Arabia and other parts of world, is the perfect choice for dye sublimation users as it can easily run low GSM paper starting from 45 GSM which will help in reducing the cost by using less ink and offering perfect colours. 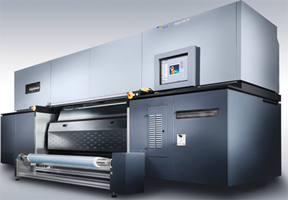 Outstanding Productivity: For large sizes such as 72’’ print width, Aurajet Series II delivers Superlative productivity at super high speed very affordably with high precision and minimum downtime. High performance synchronized for world class quality: Maximum speed with fast & accurate take up and feeding system makes it the ideal printer for the dyesublimation printing business. Zhengzhou Audley Digital Control Equipments Co., Ltd. is high-tech enterprise manufacturing professional advertising equipment from China. Its products are exported to the Middle East, Europe and America, Southeast Asia and so on more than 20 countries and regions, believe that one day, in need of advertising equipment every place in the world, there are “AUDLEY” existence. 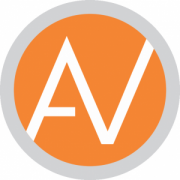 The company is represented by Tanya Enterprises in India. The car frame height adjustment: Can adjust the printhead height, the convenient user more medium, according to the thickness of the material. Founded in 2000, Shenzhen Runtianzhi Digital Equipment CO., Ltd has manufacturing bases in Shenzhen, Dongguan, Huizhou, and Zhongshan almost 700 staff and plants up to 100,000m2. As a national level high tech enterprise, Runtianzhi’s products applied in advertisement label, ceramic printing, digital printing and industrial application 4 fields are widely sold in both domestic and overseas markets. Yiwu Wenli Imp.& Exp. Co., Ltd. is one of the 10 biggest export companies in Yiwu, China. As one of the leading professional dealer for different kinds of textile machines & spare parts for many years, it is the largest exporter for needle loom and zipper machinery in China now. 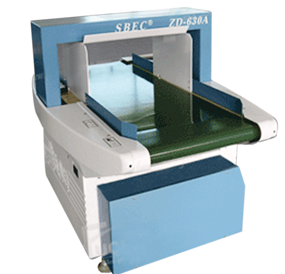 The company also offers printing machines for various segments. This machine is equipped with PID temperature control system which keeps the temperature constant with ±2ºC and save the energy by 50-60 per cent during the production process. Epson Italia S.p.A., an Epson Group company, has acquired For.Tex S.R.L., a leader in the textile printing industry. 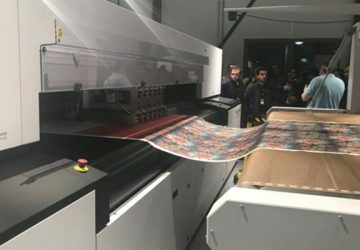 Epson Italia, which purchased a 50 per cent stake in For.Tex in 2012, completed the buyout in a move that strengthens Epson’s digital textile printing business. 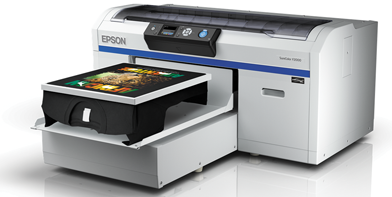 Epson expects the digital textile printing market to grow at an annual rate of about 25 per cent going forward. The acquisition of For.Tex immediately gives Epson know-how across the entire textile printing process, from strategy and design through manufacturing and sales. This knowhow, along with unified management, will enable Epson to further accelerate growth of the textile printing business. 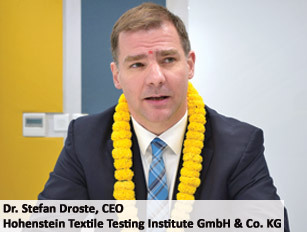 Textile Technologies were established by a team of very experienced embroidery & International Trade processionals. Company has always made its name felt in the North Indian market as a prominent supplier of specialised embroidery machines. 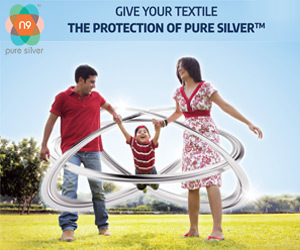 Textile Technologies has established itself as the most trusted supplier of embroidery products. 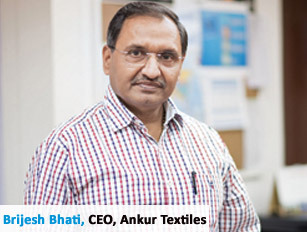 Most importantly, it has popularized the concept of computerized Aari embroidery among shawl/stole manufacturers/garment and home textile manufacturers in North India. It is the first one to run successfully the chain stitch machines, alongside its regular expertise in sequin & cording embroidery machines. Having major presence at Delhi NCR and Punjab, it has established itself as a preferred supplier across North India. The company has launched a new technology in Specialised Embroidery Machines, Machine Model: Mixed Chenille with Taping. 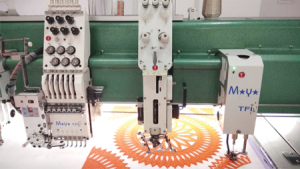 The machine is capable of doing flat embroidery /chain stitch embroidery / towel stitch / taping with lock stitch / cording. Machine has been appreciated widely by the industry & some good orders have been booked already. It is a futuristic technology, now launched in high speed version. Jay Instruments & Systems Pvt. Ltd. (JISL) is a leading manufacturers and provider of weighing solutions for industries and laboratories for different applications. One of the latest offerings by the company is DigiColor Digital Textile Printer and FEDAR DigitalSublimation textile printer. Professional textile belt carrier system: Designed for tension less transport of fabric- suitable for rigid and stretchable fabric. 4 or 8 colours ink available: Supports CMYK+4 special colours to get wider colour gamut. 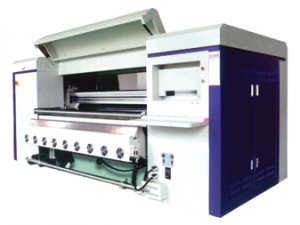 Auto belt washing & Drying unit: Keeps belt clean and dry during continuous printing. Durst is the global leader in supplying digital inkjet printing systems for industrial applications. High performance, print quality, reliability and flexible areas of application are unique selling points across all the industries where Durst inkjet technology is used. Over the past ten years, Durst has had a significant influence on the adaptation of digital printing technologies in the areas of glass, largeformat printing, ceramics, labels and textiles. With the new Alpha 190, Durst offers, especially for the fashion sector, various configurations in the entry and exit units to print on super-elastic knit fabrics. The fabric management allows very fast changes of the feeding roll. The Online nozzle control enables the operator to print a test stripe without interrupting the printing job so as to analyze the printing process and take immediate action should individual nozzles fail or insufficient ink be applied. This guarantees process stability. The print heads and inks are matched to one another and come from a single source. This guarantees the functioning of the overall system. 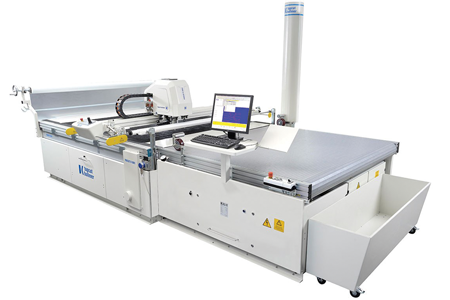 This system is designed for non-stop production and easily produces 200m2/h. The Alpha 180 TR features a maximum print width of 185 cm and is equipped with the latest Quadro S print heads for sublimation disperse inks. Durst offers a specially formulated Dye Sublimation Ink System: Water-based, odour-free, skinfriendly and free of any volatile organic compounds (VOCs). This printing system is classified for all current transfer papers at maximum quality. It creates brilliant colours, sharp images and produces an impressive abrasion-resistant and water-proof result. Durst also offers an optional “Direct Printing Kit” for the Alpha 180 TR, for fabrics needing deep colour penetration like flags and banners. The changeover between transfer paper and direct fabric printing takes only a few minutes, and can be easily performed by a single operator. 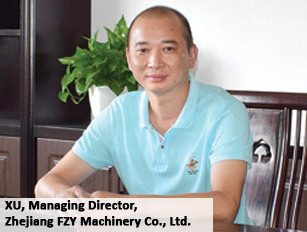 Fucen Sewing Machine Co. Ltd. is specialised in producing many types of industrial garment sewing machines. Fucen has been efficiently responding to the changing time and continuing to offer unique product and services to customer, make fast decisions and take quick action, with a challenging spirit and strong sense of responsibility. Some of the latest innovations by the company ares FC-818: Pneumatic single head snap fastening machine, FC-838: Pneumatic three head snap fastening machine, FCF-1000: Conveyer type fusing machine-belt width 900mm and ZD-630A-300: Magnetic induction needle detector automatic conveyer type. Amith Garment Services has recently launched Stretch and Recovery Tester wall mount type to find out recovery of textile material/narrow fabrics. The instrument is made as per the test standards D5278. This instrument is very useful for the fabric manufacturer/Yarn manufactures and garment exporters to find out stretch and recovery of their raw material. 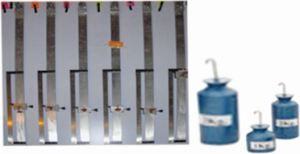 Supplied with 30N, 2.3kg, 1.8kg, 1.3kg rectangular loads with stainless steelhook and sample cutting templates. 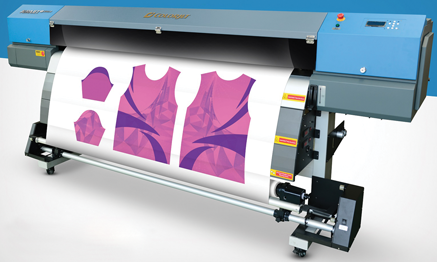 For over a decade Impression Technology has designed, built and distributed numerous digital industrial print applications in the emerging markets of textile, graphics and label production. Its brands are global market leaders and respected within their communities because of our continual commitment to research and development. 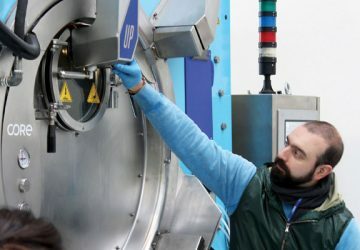 Pigment.inc, a division of Impression Technology, Sydney, Australia, announces the launch of its completely redesigned second generation 1.9 (75-inches) and 2.6 meter (102-inches) pre-treatment units. After completely redesigning their first generation pre-treatment units, Impression has reduced the footprint size dramatically for use in areas where space is a premium. This is truly the first pretreat system for in-house use. Incorporating a new non-bath single sided surface coating technology, the GoTx 1900PT/2600PT units use transfer rollers instead of fabric crushing to maintain the fabric surface. In fact, this unit is one of the first to not use either spray or soak coating methodology. 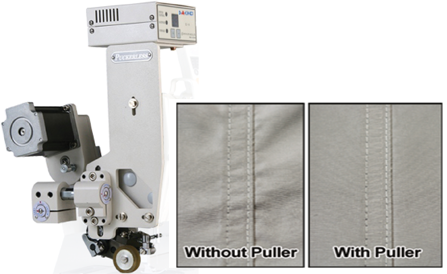 Fabric handling is facilitated by an integrated defurling spreader roller for smoothing the fabric. Using adjustable guide rollers on the input and output side controls the coating consistency and prevents edge curling. The fabric is dried with a completely new TurboDryer dual exhaust system for extracting humidity and steam. The Turbo- Dryer system uses 30 per cent less electricity than other units and has standard electrical connections. The GoTx 1900PT/2600PT units are shipping immediately through the extensive worldwide international network of resellers, including Graphics One in the Americas. Pricing for the units is $33,500 for the 1.9 meter unit and $39,500 for the 2.6-mtr unit. Twenty five year old business group Vee Kay Enterprises has made a success story of every business it has been into. Vee Kay has carved a niche for itself as a total solutions provider for the digital textile & signage industry with superior infrastructure and a committed work force. As an organisation, over the last few years, the company has expanded its operations by opening branches in the all major cities of India. Given are the features of its latest T-Shirt Printer Iris 2000: • Printing technology: VSD Pizeo Inkjet Method • Print Head & Quantity: Industrial Heads 4 • Printing Size : 400mm*500mm 600mm*800mm • Ink System • Ink Type: Pigment • Ink Colour: CMYK and W • Ink Volume: 2000ml / colour • Printing Mode (4 colour): Mode – Printing speed: 6 pass, 36s; 8 pass, 48s • Printing Mode (2 colour +2white): 6 Pass, 36s; 8 Pass, 48s; 12 Pass, 72s • Fabric Standard: Fabric Size – 400mm*500mm 600mm*800mm; Fabric Type – Cotton, hemp, silk, nylon, polyester, wool and cashmere • Working Condition: Humidity – 45%-85% and Temperature – 10ºC-35º C • Windows System: Window XP, WIN7, WIN 8 • Display: Computer Display • Interface: 100MB (100MB network interface) • RIP Software: AJet RIP • Power: AC110/220V, 50HZ/60HZ • Noise: 60dB. In 1964, the TAJIMA group developed a multi-head embroidery machine. Since then, it has made expensive manually produced embroidery accessible and familiar to the people of the world, and added beauty to their lives. 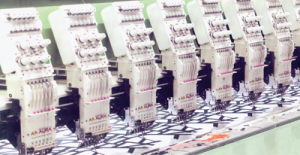 TFGN II – Series Multi–head Automatic Embroidery Machine is one of the revolutionary technology introduced by the company. It is a high-end model making the most use of Tajima’s technologies. Also, high-grade machine having extended functionality and superior performance. Begun in 1985, M&R started out with three employees, doing maintenance and repair for screen printers who were dissatisfied with the service provided by the manufacturers of their screen printing presses and other screen printing equipment. Just one year later, M&R began manufacturing manual screen printing presses. Today, M&R produces a wide array of screen printing products and OEM screen printing parts at facilities in Roselle, Illinois, USA and in Wojnicz, Poland. M&R has distributors and support operations throughout the world. In India the company is represented by DCC group of companies. Given are its latest machineries. M&R’s aggressively-priced VictoryOne oval press is aimed at the international market. VictoryOne’s 22-station base module can be expanded in 6-station increments to create 28, 34, 40, 46, 52, 58, and 64-station configurations. All but the four stations at each end of the press can support printheads, which must be configured in opposing pairs. Otherwise, there are no restrictions on printhead placement, and any station can be left open. VictoryOne’s flexibility allows it to be tailored to almost any production requirement. It also allows VictoryOne to fit into spots no carousel press could. VictoryOne’s maximum screen frame size is 68 x 99 cm (26.5″ x 38.9″). Maximum image area is 42 x 70 cm (16.5″ x 27.5″) on the small pallet and 55 x 70 cm (21.5″ x 27.5″) on the large pallet. Small pallets are 45 x 85 cm (17.7″ x 33.5″) and large pallets are 58 x 85 cm (22.8″ x 33.5″). Each press comes with 500 frame-adaptor pins for static aluminum frames, a jig for drilling frames, and a screen frame registration system. Other features include servo-driven indexer and printheads, reversible rotation, front and rear off-contact adjustments, front and rear micro registration, calibrated tool-free front and rear stroke-length adjustments, quick-lock squeegee and floodbar mounting with toolfree angle adjustments, and a touch screen main control panel. Printheads are made of sturdy 11 x 13 cm (4.25″ x 5″) extruded aluminum with a servo belt-driven print carriage riding on enclosed linear bearings. A soft-touch membrane control panel on each printhead provides access to print and index functions. A pneumatic squeegee pressure regulator delivers consistent print pressure. VictoryOne’s quick-lock head-latch mechanism activates a springassisted high lift, allowing operators to quickly raise the screen for cleaning or removal. An air-assisted rear frame support facilitates quick screen loading and unloading. A pin-type frame holder interface allows for true on-contact printing when needed, while individual front/rear off-contact and smooth micro-registration tools give operators full control of screen alignment and off-contact settings. VictoryOne also has standard flash-cure power distribution with on-press plugs. Also available are standalone Sechuan® quartz flash-cure units, which are designed specifically for the VictoryOne oval press. 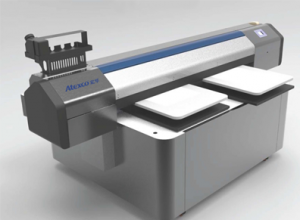 M&R’s new VictoryOne digital hybrid screen printing system brings the worlds of conventional screen printing and direct-to-garment digital printing together in a way that is efficient, flexible, and profitable. The VictoryOne digital hybrid screen printing system allows screen printers to use the custom, on-demand printing available through digital direct-to garment technology in combination with screenprinted effects like puff and glitter inks. 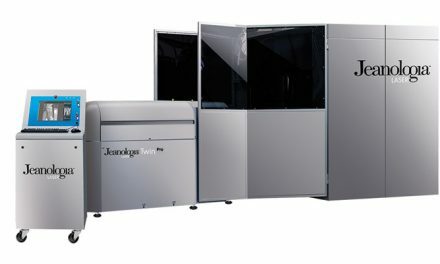 The VictoryOne digital hybrid system will bring a new level of versatility and profitability to conventional screen printing operations by allowing those operations to take on work that can’t be done by screen printing alone—and to do it at speeds unheard of on standalone DTG printers. The system is compatible with RIP software from Ergosoft, Wasatch®, Neostampa and Caldera, and is capable of printing on natural and synthetic fibres, including polyester, nylon and blends. With an automatic cleaning system and integrated humidifier, operation and maintenance are greatly simplified. 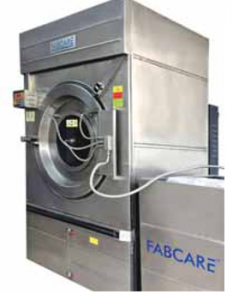 Established in 1995, Fabcare Garments & Textile Machinery Private Limited is one of the manufacturers and suppliers of garments & textile machinery in India. Its range is made as per the set industry norms and guidelines, utilising the finest raw materials and modern machines. This ensures the product’s performance, service line, strength and capacity. The offered range is made up of the finest textile machines, washer extractor and washing machine, which are widely demanded. In addition to this, the offered range is priced at the most reasonable rate possible. The company recently launched first of its kind Cold Pigment Dyeing Machine and Dry to dry Process Machine, which is fully automatic. The machines completely made of stainless steel with spray technology. The new machines allow a lot of savings to the users in terms of water by almost 90 per cent, less manpower usage and space requirements. Super low noise mechanical design: Advanced; silencing transmission structure head design is excellent; This structure not only has greatly reduced noise, also has function of easily adjust thehigh presser foot, reduce the pressure foot, hit the cloth or needle plate which cause embroidery destroyed, reel of the yarn from the material and leave presser foot print on material, Especially for the think material embroidery and three-dimensional (3D) embroidery has most obvious effect. Thread hold device: Independent electromagnetic valve control, when trimming thread, colour change, replenishing embroidering, the thread hold device has function can effectively improve or prevent the thread out of needle hole or bobbin thread dis-connect with thread for other heads. A new type hook thread device: Gear reducer motor assembly designs this structure it’s convenient to installation and adjustment. At the same time, greatly improves the hook thread device of precision and mechanical stability. 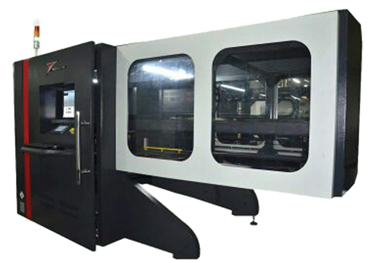 Accurate frame drive slide rail group: The advanced bearing and linear motion technology High rigid material, High-precision processing technology, High sealing performance dust gauge block group design, Can easily face strict production requirements. LAMS-MB SERIES a premium level high speed machine with special patented Multi Depth Insertion Boring. The machine has technology for Schiffli like boring quality and flexibility of multi head working. 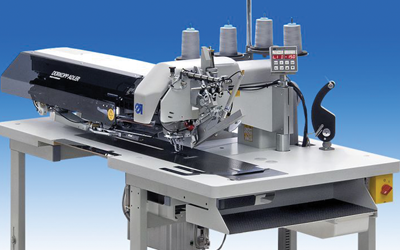 Another offering is the LEO-III series – A premium level real high speed multihead machine with latest technological features with new attachments for adding wings to creative embroideries. The HSCX-II series is the only real premium level high speed chenille mixed head embroidery machines with many new developments to ensure stable working and quality. The RAFTAAR series of machines is designed for robustness and long life. The LY-CX series chenille has a mixed head embroidery machines with many multi functions in one machine for wide range of embroidery applications. Another latest innovation by the company is Aura MS series: Mini Schiffli range (Repeats of 8×4, 12×4, 16×4, 24×4, 32×4). 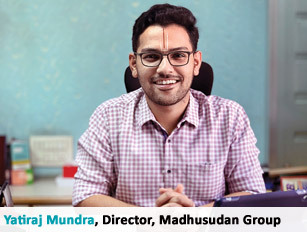 Along with the above, Aura Technologies specialises and have highest number of installations for laser and glass beads attachments for high quality value addition, the company says. Equipped with laser system on the computer embroidery machine, which perfectly combines the technology of computer embroidery with laser cutting and the patterns fully realise the digital control. It saves abundant costs of plate making and knife mold production, eliminates the time cost and quality limitations of the traditional manual cutting, effectively reduces the production cost and improves the efficiency. Suitable on various fabrics for special embroidery, applique, engraving, edgecutting, punching and stratified cutting, which can not only enrich the embroidery technology, but also improve the product quality and value addition. It makes the embroidery appeal more prominent with higher quality and stronger aesthetic feel. It creates a new era in the embroidery process and provides a new solution to garment, home textile and fabrics decoration industry. 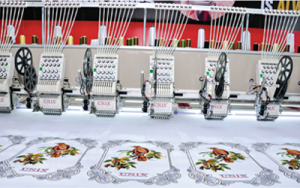 Unix high speed embroidery machine productivity is achieved by ultra -precise control 1200 RPM in standard embroidery, which can meet various consumer demands for creation of high value added embroidery work. Sequin can be programmed into the design data or loaded manually via the control panel. 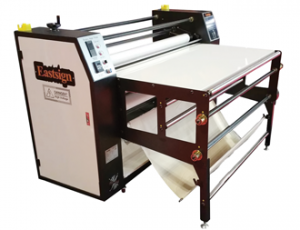 Eastsign is a leading manufacturer/supplier of offering a comprehensive lineup of digital materials and equipment for all ways of printings. 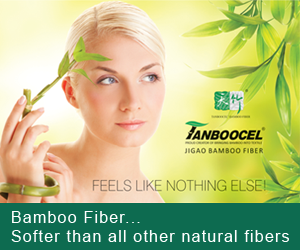 The head office is located in Hong Kong and with the production based in Mainland China which established in 2002. Its customers benefit from high quality products, professional consolidation and sourcing in all areas of business. Eastsign play a leading role in signage industry as vital source in digital textile printing, large format printing for billboards and screen printing. Established in 2005, Baba Textile Machinery (India) Pvt. Ltd., is a young and dynamic technology solution provider company from New Delhi. It is an importer and supplier of garment and textile machinery in Northern and Eastern India, having sales and service offices in Kolkata, Varanasi and Jaipur. The company is committed to satisfying customers by supplying best quality technologies at competitive price. 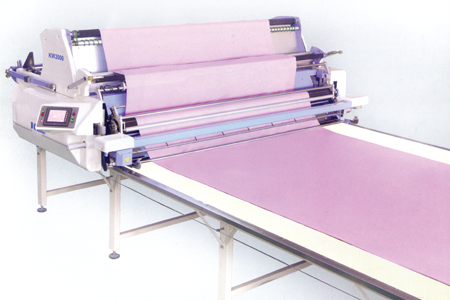 Its product range include computer embroidery machine, rapier loom and laser cutting machine. 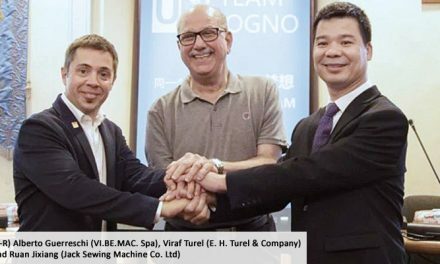 In a short span of time the company has sold more than 5000 machines, which itself reflects the quality of the machine and service provided by the company. One of the latest innovations by the company is Mini Schiffli embroidery machine (90 heads, 4 needles). Full digital control and LCD display. Multiple languages are supported such as Chinese, English, Russian, Arabic etc. Product features: Two laser heads working at same time double enhances the working efficiency, adopted imported high precision spare parts, stable and reliable DSP control system, simple and convenient man-machine interface, stable motion drive system with superior performance. High precision moving rails, all these make machine the features of high efficiency, energy conservation, stability and convenience during working. Applicable industry: Garment, leather, cloth toys, embroidery patch cutting, module, arts and crafts, advertising, decoration, packing print and so on. Applicable materials: Cloth, wool, leather, paper, plastic, rubber, PVC plate, wood, plexiglass, epoxy resin, crystal, tile and so on. Product features: Co2 Dynamic auto focus laser marking machine is a new machine system for large area marking, it ends up the history of laser join for large area marking. Its application greatly increases the product quality and working efficiency. Applicable industry: Shoes, Garments, Bags & Suitcase, Art & Craft advertisement, electronic, printing mould and so on. Applicable material: Genuine leather, synthetic leather, cloth, wood, & bamboo, Paper, rubber, plastic resin, acrylic and so on.